My goodness friends are we in for a treat this week! While I am stroller derby-ing it up in Orlando this week we have the pleasure of meeting the wonderful Andy Lee! Andy has become such a source of inspiration and encouragement for me over the last several months. Getting to know her has been a true blessing to my life. This post speaks so much to my mommy heart, I can’t wait for you to read it and share! If this speaks to you make sure you check in for our Front Porch Friday this week to hear more about Andy’s newest gem A Mary Like Me! Nobody told me how hard it was to be a mommy. There were days when I wanted to quit. I used to feel bad about this, but then I realized that other moms had their bad days too—even the mother of the Son of God. It encourages me to know that even the mother of Jesus experienced some mothering mishaps when he was young as well as when he was an adult. Yet those mistakes did not stop Jesus from fulfilling his purpose. My mommy failures won’t wipe out my kids’ destinies either. And neither will yours. So, you’re thinking, what scripture proves Mary wasn’t the perfect mother? I’ve found a few, but there’s one that intertwines my heart with hers. I couldn’t find mine for thirty minutes, but Mary lost her son for three days! Ironically, Stephen was twelve when I lost him, just like the boy Jesus. But Jesus sat in the synagogue while my Stephen wondered around a big water-park. One minute he was standing in the wave pool with a hundred other bodies, and the next he was nowhere in sight. The wave pool was cleared routinely, and in the mass exodus my Stephen went missing. I was frantic. My heart pounded out of my chest as our youth pastor and I searched. Terrible thoughts ran through my mind. Was he abducted? Will his father ever forgive me? How will I live with myself if I don’t find him? Was Mary’s heart pounding as they searched for Jesus? I have no doubt that it was. When they did find him, the boy Jesus said, “Why were you looking for me? Did you not know I must be in my Father’s house? (Luke 2:49 ESV). I find the next sentence a clue to the very human hearts of his parents. Luke writes, “But they did not understand what he was saying to them” (Luke 2:50). Is it possible that up to this point everything about Jesus seemed so very normal that they forgot? Had he become so much “their” son that the fact he was God’s slipped their minds? They didn’t understand what he was saying about his Father’s house. That seems so strange to me, but maybe Joseph and Mary understood, and the crowd of family members who had gone back with them to search for the lost boy were confused by his explanation. The Bible tells us that his mother “treasured these things in her heart” (2:51). Mary knew. She just needed a reminder. Sometimes we need this reminder too. Our children are not ours. They belong to the One who loves them more than we do—though that is hard to conceive. I’ve been a mom now for twenty-five years. My daughter is married, and my sons are in college. And believe it or not, even though those first few years of motherhood almost did me in, they are now sweet memories because when I look back at those days of diapers and spit-up, potty-training, and temper-tantrums (mine included), I’m reminded of how God grew me. I wouldn’t exchange those sleepless nights and lonely days for easy ones because they made me desperate for Jesus. I hungered for my time alone with him. I looked forward to the afternoons when my kids would take a nap. That’s when I could light my candle, pour my coffee, and spread a Bible study all over the table—unless I fell asleep. When I lashed out harsh words before I could lasso them back. When punishments I delivered weren’t justly deserved. When I either pushed my kids too hard or not enough. I think Mary needed to rely on God too. There were times she didn’t understand her son’s actions. Times when she wanted to take control. The Gospel of Mark records a scene where Jesus is teaching in a home, and his mother and brothers are standing outside yelling for him to come out. Mark employs a Hebrew word that means “seize”. They wanted to forcefully take him home because they thought he had gone crazy. That day Jesus denied knowing them as his family. Surely as Mary of Nazareth stood outside begging for Jesus to come home, Gabriel’s prophecy seemed so far away—so different than what she envisioned. When she knelt before God’s messenger humbly accepting her new job as the mother of the Messiah, she never thought her son would face such opposition from the righteous Jews. Rather than building an army of soldiers, Jesus gathered a group of skinny fisherman, broke the law and healed people. She wanted to protect her baby that day, but another day would come when her momma reach would be too short once more. On that awful day she would helplessly watch him die. Maybe these are the hardest things about being a mother. Motherhood is not always what we envision. And eventually we mommas have to let go and trust God with our children’s future and purpose. “My grace is sufficient for you, for my power is made perfect in weakness . . . even in motherhood” (2 Corinthians 12:9 addition mine). This article was adapted from Andy Lee’s new book, A Mary Like Me: Flawed Yet Called (Leafwood Publishers, 2016). 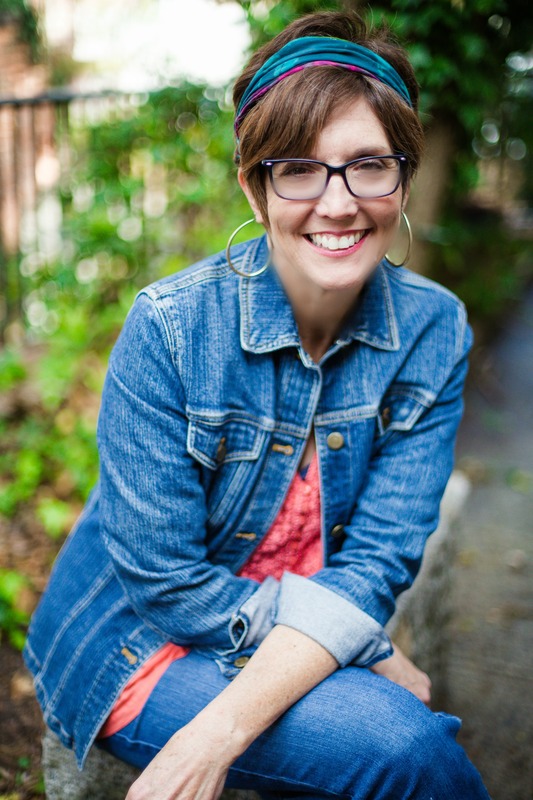 Andy is a women’s event speaker, blogger, and Bible teacher. She is also the author of a new Bible study, The Book of Ruth Key Word Bible Study: A 31 Day Journey to Hope and Promise (AMG Publishers, 2015). To find out more about Andy or to invite her to speak at a women’s event, visit her site at www.wordsbyandylee.com. « Front Porch Friday: Meet Lori Wildenberg! Wonderful reminders! Mary was not perfect – she was simply called. I love that God’s word can comfort us with the stories of human weakness – and uplift us with the strength God gives us. I also very much connect with the story of Mary losing Jesus. Can you imagine!? Well yes … but like you my momentary terror was short-lived. Thank God! I know what you mean Rebecca!